Master Chef Tony Seta, C.M.C. Tony Seta, one of only 70 Master Chefs in the U.S. Certified by the American Culinary Federation, is a culinary professional with more than 30 years of experience. He is well-known for developing memorable dishes for restaurants and food manufacturers across the nation – and an expert in translating bold restaurant flavors to consumer recipes for in-home use. A culinary pioneer, he is especially known for reinventing old favorites like tasty barbecue sauces and other signature dishes. In his current role with Butterball, Chef Tony works with restaurant chains and food manufacturers to develop creative and signature turkey items using his expert knowledge of ethnic cuisines and current culinary trends. 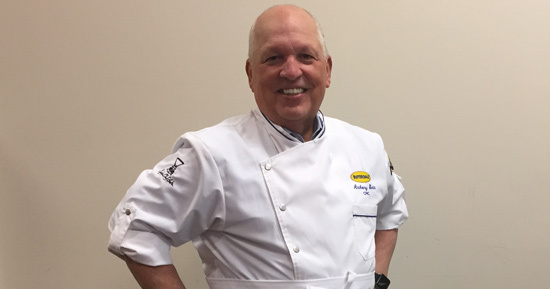 Tony lives in North Carolina and serves as Butterball LLC’s Director of Culinary Services.